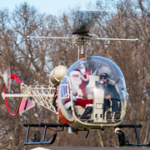 Welcome to the third edition of the EAA Vintage Aircraft Association’s Vintage AirMail e-Newsletter. Did I say third edition? It seems as though we just got started with the production of the Vintage Airmail e-Newsletter, and here we are already publishing the third bi-monthly edition. I truly hope that the Membership is also enjoying the newly redesigned Vintage Airplane magazine. Just a reminder that the July issue is all set to be expanded to 68 pages. I hope everyone enjoys the additional 8 pages of content. We continue to receive very positive feedback from the Membership on both of these publications, so keep in mind that we always enjoy hearing from you on any issues you may wish to raise. Return of the “Mystery Plane” to the e-Newsletter has also been very well received. Are you all set to attend this year’s episode of EAA’s “World’s Greatest Aviation Event?” As I write this piece we are now down to just over 9 weeks until Oshkosh 2013 launches. So if you haven’t already done so, now is the time to begin the process of preparing for your arrival at Oshkosh 2013. Let me remind you of just a few of the reasons that make this a really good idea. Two night Air shows, (Wednesday & Saturday), “Jet Man” a Jet powered Carbon Fiber winged pilot streaking over Wittman Field flying in formation with a photo plane. The Lieutenant Dan Band featuring Gary Sinise. 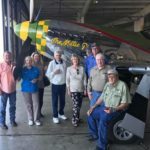 Round Engine Rodeo, a formal presentation of some of the finest rare flying Vintage Aircraft in the world today. And then there is the band “Chicago” on the west ramp on opening day and that is just a quick highlight of this year’s event. If that information doesn’t get you to start your planning, I don’t know what it might take. 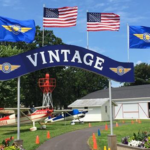 Have you ever volunteered some time at Oshkosh during the annual EAA Convention Fly-in? Maybe you have thought about signing up and giving us a taste and see what it’s all about? Well, if you have ever found yourself thinking about volunteering, this is the year I would like to encourage you to come spend some time with us in the Vintage Aircraft area of operations. 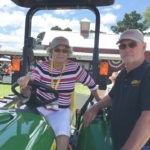 We have a real need for individuals with sales, computer and cashiering experience to assist us in the Aeromart tent, and the Red Barn Gift Shop. If you are interested in enriching your experience at Oshkosh, this is a great opportunity to do just that. Personally, I began volunteering at Oshkosh in 1983, at a time in my life where I really had very few friends in my life. Today, I have hundreds of great friends that are all products of the EAA experience. Come give us a taste! You may well be amazed at the result. As you have already heard, plans for our Round Engine Rodeo continue to be moving forward at a rapid pace. Feedback from our members has been outstanding. If you plan to attend, even if your plans are not yet firm, please complete the Pre-Registration form here and indicate if you will be headed directly to Oshkosh or if you will stage with the other aircraft at Hartford for the group arrival. 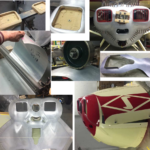 “Building under the theme ‘Round Engine Rodeo’ we hope to attract at least 100 round engine planes to AirVenture this year. 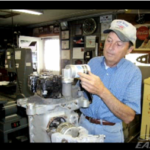 AeroMart will once again be available to take your parts, and other aviation related items and offer them for sale to the public during EAA Airventure Oshkosh 2013. NEW this year, Aeromart will be open for selling, purchasing, starting on Monday, July 29, 2013, at 9:00 a.m. Aeromart will be open from 9:00 a.m. â€“ 5:00 p.m. Monday-Friday, and Saturday 9:00 a..m. -12:00 noon. Planning to join with us at AirVenture 2013? 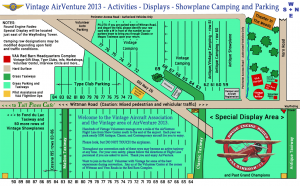 Use the map below to familiarize yourself with Vintage Oshkosh, especially if you are a first-time visitor. Click here or on the image below for a larger printable image.